Ocala Breeders’ Feed & Supply cares about the health of your animals. That’s why we carry a large variety of animal health supplies for general care, supplements, and more. 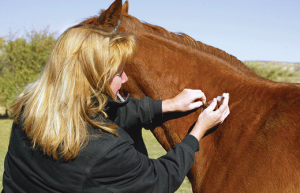 Whether you’re looking for de-wormers for your cattle or leg care for your horse, we have you covered. Browse some of our categories below or stop into one of our locations in Marion County, Florida for more information. We look forward to helping you maintain the health of your animals.